The material of 'The Issue with Troy' book crowns scores of years of meticulous and extensive research performed by the eminent mathematician Anatoly Fomenko and his colleagues. It shows the amazed reader that the whole Troy story was a swindle exercized by german adventurer Schleiman. This book is also the 6th volume in History: Fiction or Science? e-series, the fundamental oeuvre that exposes and expounds the numerous inveracities of the traditional version of history. The e-series 'History: Fiction or Science?' contains data and conclusions that aren’t anything short of revolutionary. The alternatives offered to classical history are stunning, unorthodox to the extent of being labelled heretical by virtually every scholar of history, and daring enough to be considered preposterous at first sight, although this impression never lasts longer than it takes one to read a few pages attentively. 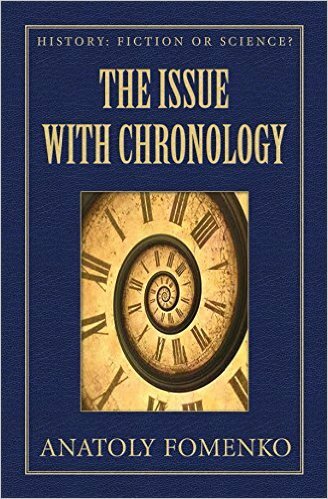 The author dissects every historical age and analyses the data from every source imaginable – concensual chronology take a good beating, and it goes rapidly downhill from there. 'The Issue with Troy' is actually the result of creation in XV-XVII centuries of a mythical Classical Age that never was by misdating mediaeval events by hundreds and thousands of years as very ancient ones.